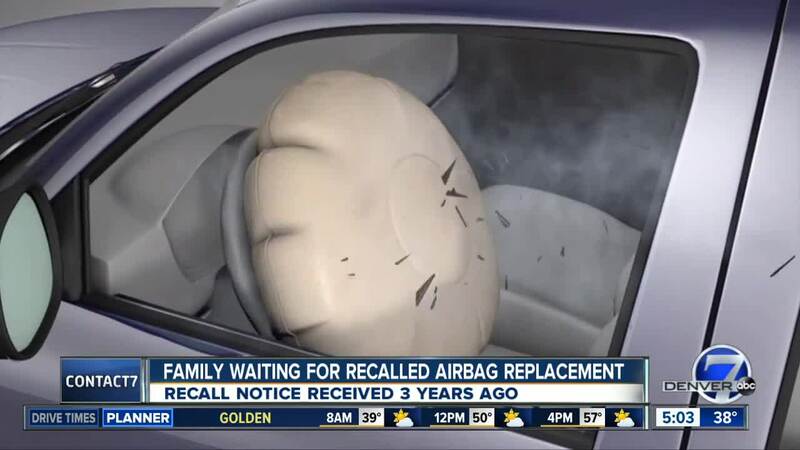 This family said they have waited for three years to get their car's airbag replaced. FORT COLLINS, Colo. — Martha and Tom Fenno received notice in May 2016 that their 2007 Chevy Tahoe was part of a nationwide Takata airbag recall. The Fennos, who call Fort Collins home, aren't the only drivers feeling that frustration and fear. Around the country, owners of popular GM SUVs and pickups are dealing with similar delays . That's because General Motors is currently petitioning the NHTSA to exempt it from further recalls.